No matter where you are on Earth, we all look up to the same sky during the dark nights. 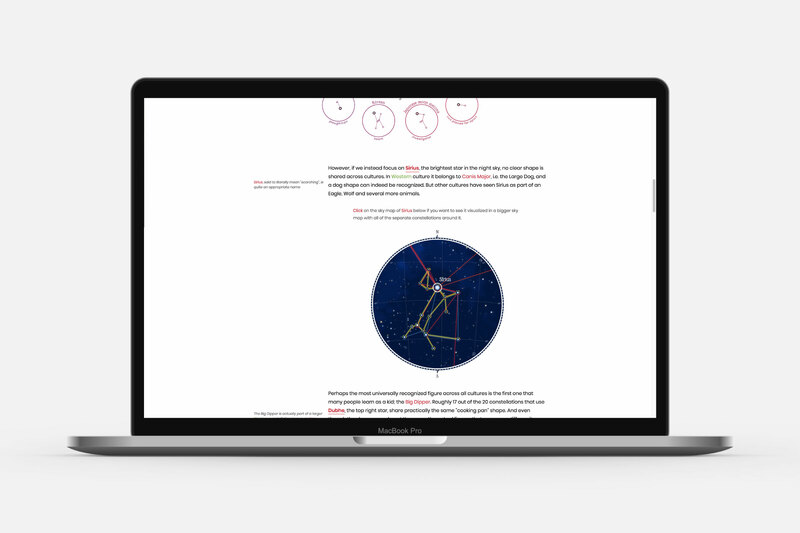 You might see a different section of it depending on your exact location, time & season, nevertheless the stars have fascinated humans across time and continents. 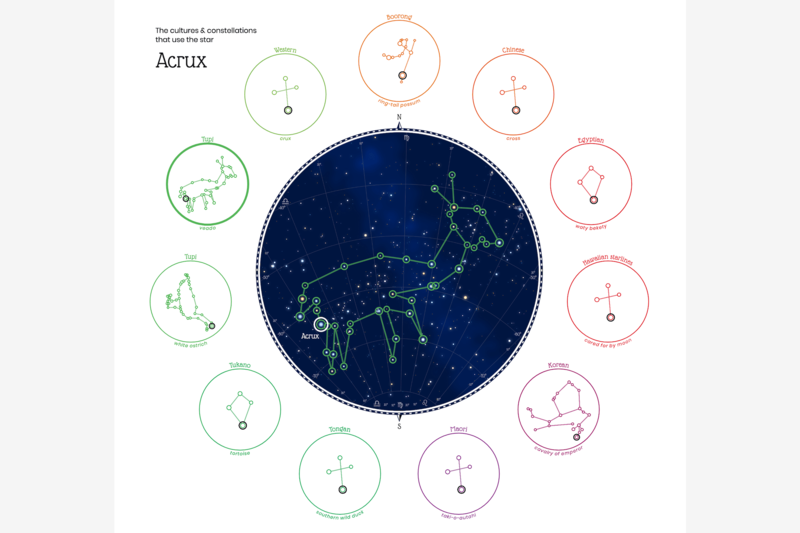 Our own creativity combined with stories about local legends and myths have created a diverse set of different constellations. And even though the stars don’t change, people have found many different shapes in the same sky. 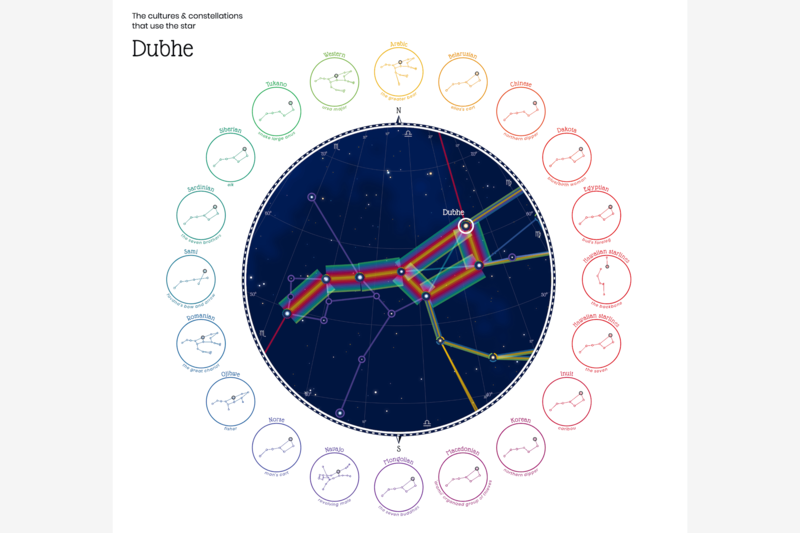 This interactive visual story looks into the differences & similarities between the constellations that 28 cultures, spread across time and across the World, have seen in the stars. 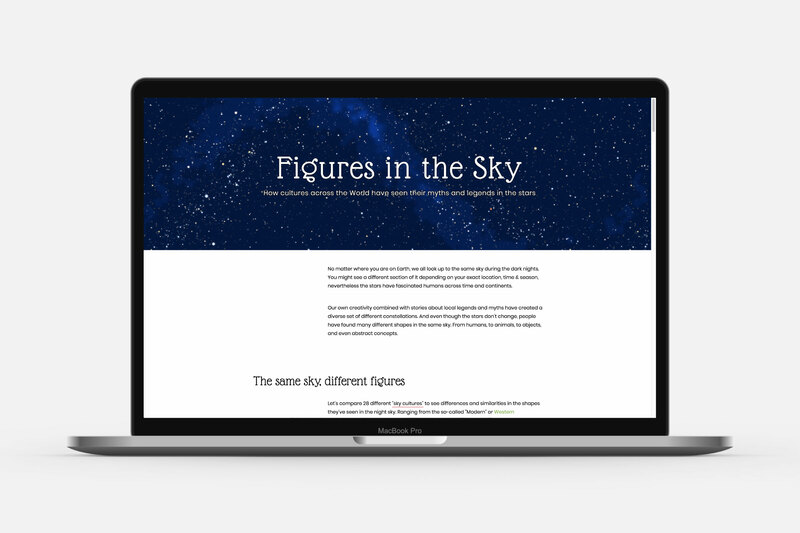 “Figures in the Sky” won Bronze in the “Innovation Format: Data Visualization” category of the 2019 Malofiej awards. 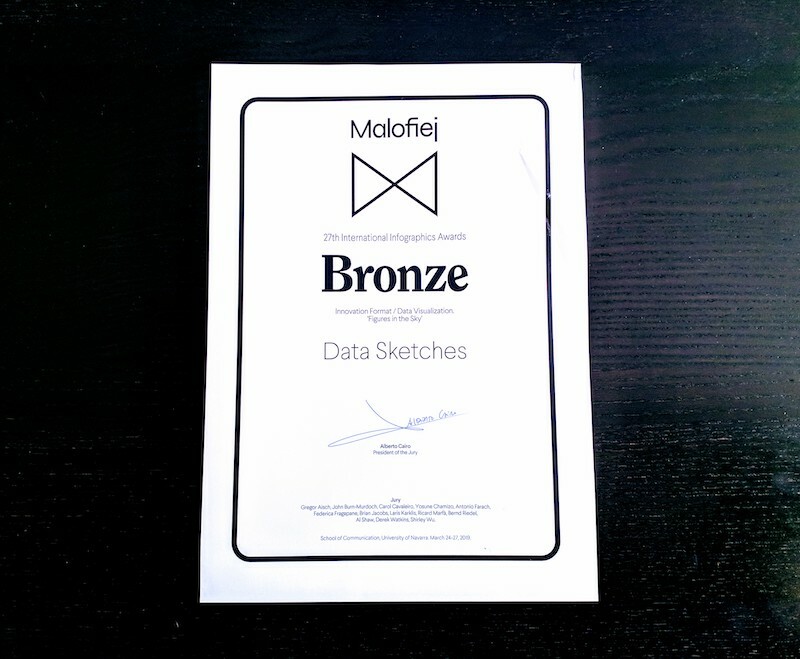 Malofiej is the yearly Infographic World Summit that hosts the awards for best data visualization / infographics published in print and on-line across the globe. For my final data sketches month, with the topic of Myths & Legends, I was stuck for a long time. 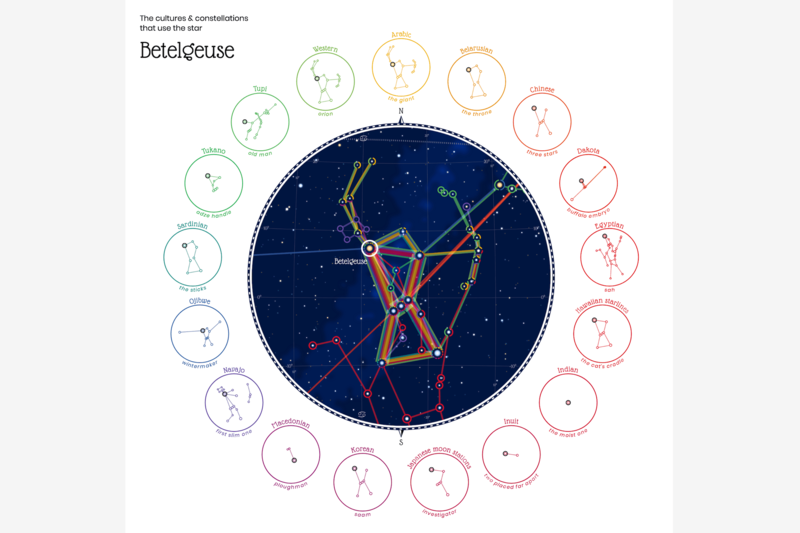 Until, after a whole year of not having inspiration, I eventually came up with the idea of looking into constellations from different cultures. 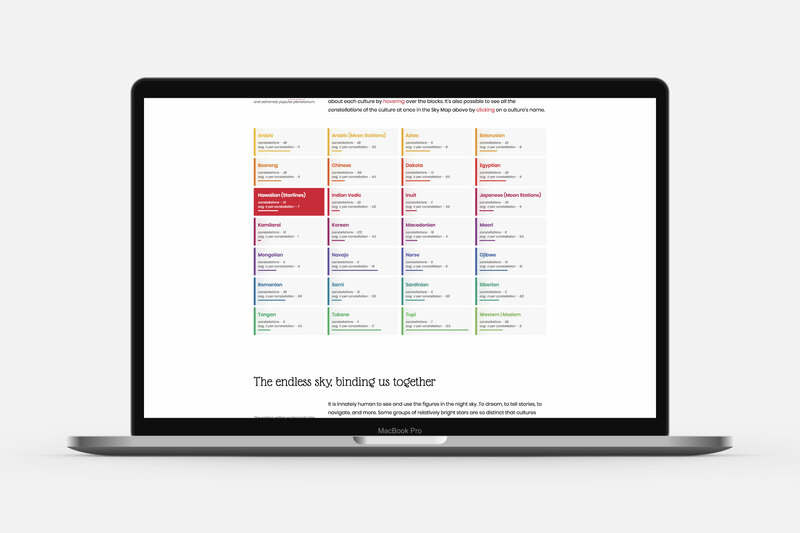 I was very fortunate to find a dataset about 28 different cultures, from all across the World on Stellarium. My main goal was to highlight were in the night sky there apparently exist very distinct shapes. Where many cultures have used almost the same shapes. 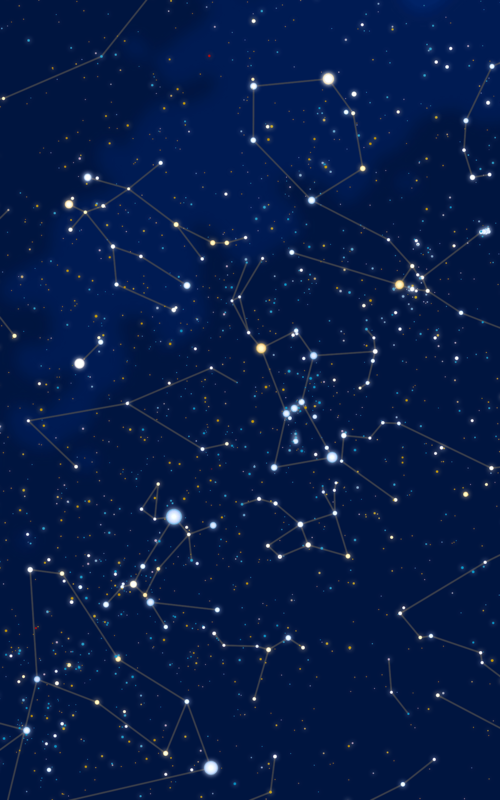 Whereas other parts of the sky have very little overlap in how the stars have been used in constellations. 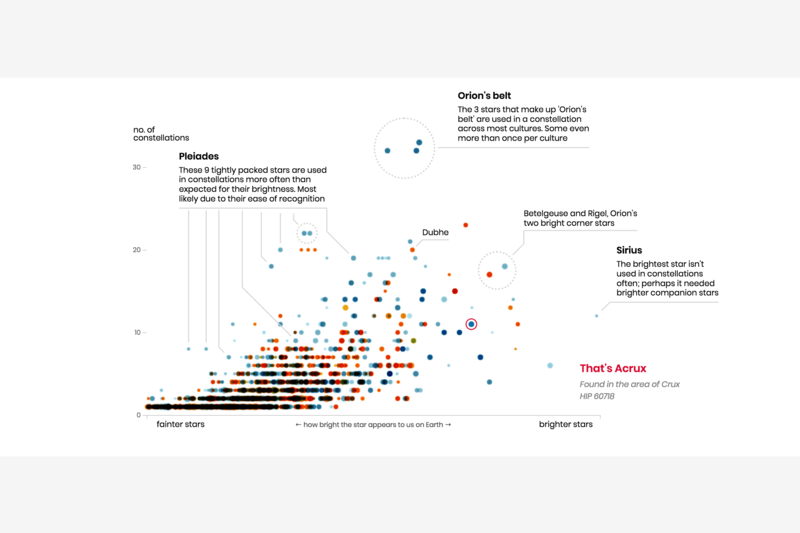 Since the dataset was so diverse I knew early on that this story couldn’t be captured well in just one big visual. Therefore, I turned this piece into a full story with several static and interactive charts wrapped around in textual explanations. 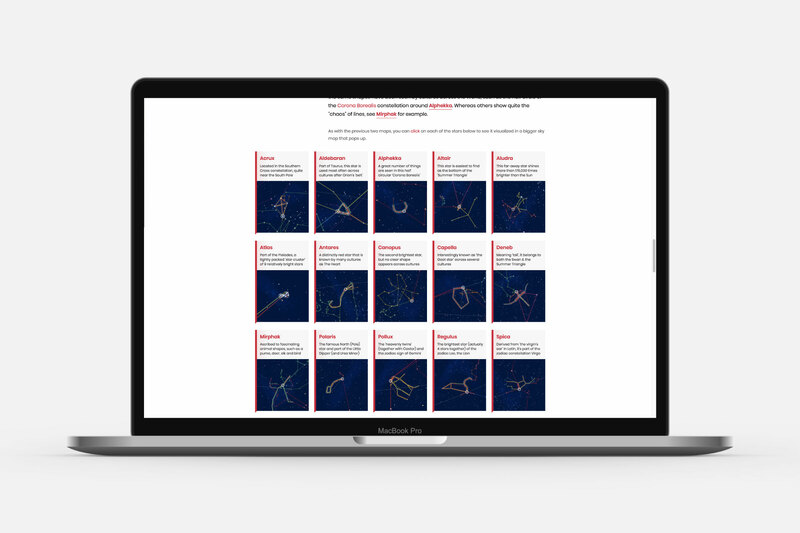 If you’re interesting in learning more, you can read all about the data, design & coding on my data sketches’ May write-up.